A compact and convenient data storage device fantastic for any F1 fan, cool design will make F1 fans instantly fell in love with this tiny usb stick. This USB memory stick with huge space to download mega files. You can easily transfer, share files, Music, Photos, Movies, Designs, Manuals, Presentations, Handouts, etc. Great value gift - looks very high value but really cheap. 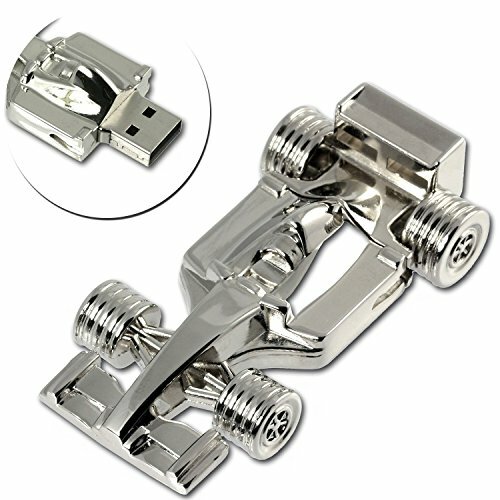 so this 16gb usb stick also a good gifts for Mother\'s day, Father\'s Day, Children\'s day and Christmas Day. Finally, All Sunworld products come with 1 Year Warranty & Lifetime Friendly Customer Service. You can rest assured purchase.